Don’t you think there is nothing more rejuvenating and refreshing than a cycling on amazing cycling tracks in South Mumbai without red brake lights and uncounted chuckholes? If your answer is yes, then without a do opt on our “Mumbai Morning Bicycle Tour” which won’t give you chance to see India’s most rushed metropolis before it opens its eyes but on the wheel you will explore some secret and most popular Mumbai sights like the Gateway of India, CST Station, Sassoon Dock, Bombay Panjrapole (cow sanctuary), Mumbadevi Temple and Marine Drive. 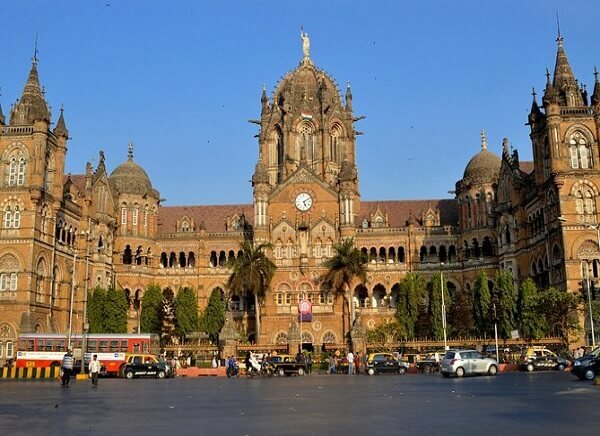 Welcome to “Mumbai”, the financial capital of India, that has much to offer than just sightseeing. Your “Mumbai Morning Bicycle Tour” embarks when you will be pick-up from your hotel, meet our guide and start gentle ride on the back streets of the Fort area — an old business district from the 18th century and then move down to Chhatrapati Shivaji Terminus (CST)—India’s busiest railway station/UNESCO World Heritage Site, here you won’t admire the Victorian Gothic style architecture but this location recall your memories related to the Oscar-winning Slum dog Millionaire movie. After witnessing the historic station, start riding toward Sassoon Dock - one of the most energetic fish loading and trading centre of the Kolis around South Mumbai. Further this continues on to Mumbadevi Temple - an ancient Hindu temple that Mumbai was named after! Here you will take a break from our cycles and have a look inside. Post this ride down the 1-mile (3-km) Marine Drive — extending from Nariman Point to Malabar Hills has been a Bollywood favourite for decades. The wonderful palm trees, the setting sun and endless waters of the Arabian Sea incite every on looker to click, so don’t forget to carry your camera. 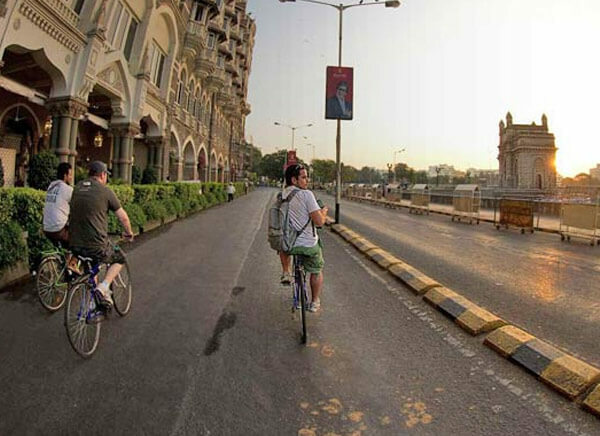 In this way your “Mumbai Morning Bicycle Tour” ends with a simple Indian breakfast at local restaurant in the company of our guide and small group. Post breakfast you are free for personal exploration or our guide will drop you to hotel. 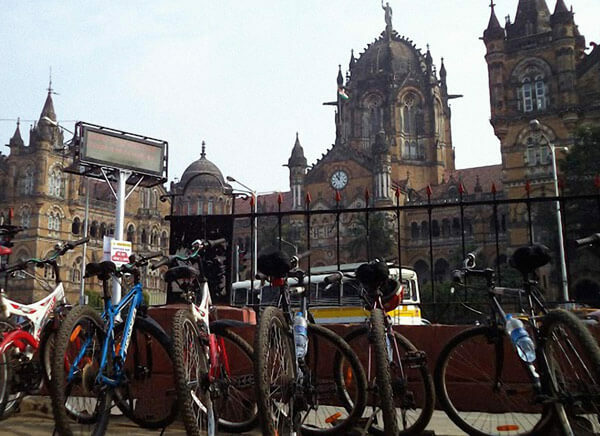 Hope with Travelogy India you enjoy Mumbai on bicycle and get back with the least known facts about the city of dreams! Note: Our guide always try to avoid main roads whenever possible and heads out before the streets become crowded, so you can enjoy the sights and cycling at fullest.